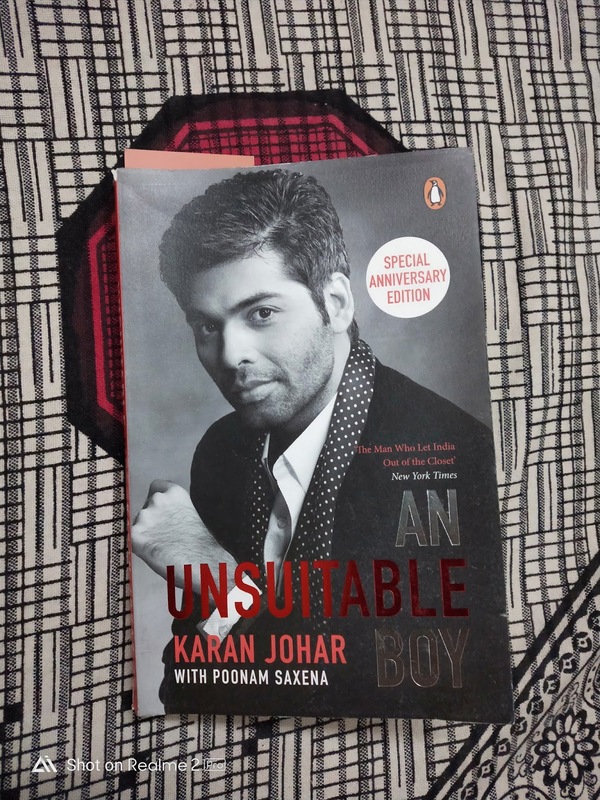 An unsuitable boy is the candid memoir of Bollywood's most influential man- the one and only Karan Johar. The book is a must read for all the Bollywood fans out there and is undoubtedly one of the better memoirs to have come out from a B-town celebrity in the recent past.Though I am not a big fan of his movies,have always admired him for his success,for his marketing skills and for his sense of the market ,this book has only elevated my reverence for the master showman, Karan johar. Karan is being brutally honest here. So when he remarks that no matter whatever kind of films he make, he is always remembered as that rich guy who makes films for the rich NRI s, or when he tells zoya akhtar that any comparison with him is no compliment ("you are the new karan johar"),you can't agree with him more. Also when it comes to film critics, he puts it bluntly that he doesn't care about many of them nor their opinions. At the same time he doesn't try to hide the little joy he felt when shubrata gupta of indian express, who doesn't actually like anything with a kjo name attached to it finally liked Bahubali, a film that he had distributed.Likewise when he reminisces that Bharadwaj Rangan, who totally hates the karan brand of films, once approached him to write a forward for his book, the irony is not lost either. Karan doesn't shy away from making fun of himself either, 'the beggar costume change' issue being a case in point. Also at a time when even the directors-creators of super flop films too don't hesitate to brag about how successful their films are, kjo is sincere when he says that acknowledging a failure is as important as acknowledging a success.He also never hesitates in naming his movies ( productions) which failed big time, while maintaining that that he never holds a failure against its (first time) directors/creators. Johar also touches upon segments from his childhood(of him being obese),his first encounter with Shahrukh Khan, his father's failed production ventures,his not so-rich childhood,sexuality to name a few. 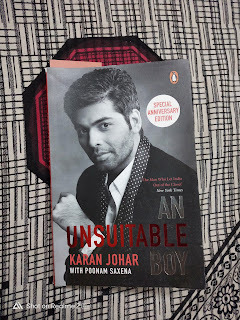 On the whole, I liked the book, for its straight forwardness and for the unpretentious attitude of kjo.I'm giving it a 3 out of 5.